I had spent the morning scouring the San Telmo Sunday Fair. I had expected much less then I got. The fair goes on and on, almost without end and as much as I love looking for deals, I also don’t leave much room for anything in my travel backpack other than the essentials. By the time I made one massive loop around San Telmo, I was hungry and this cafe had just what I was after. 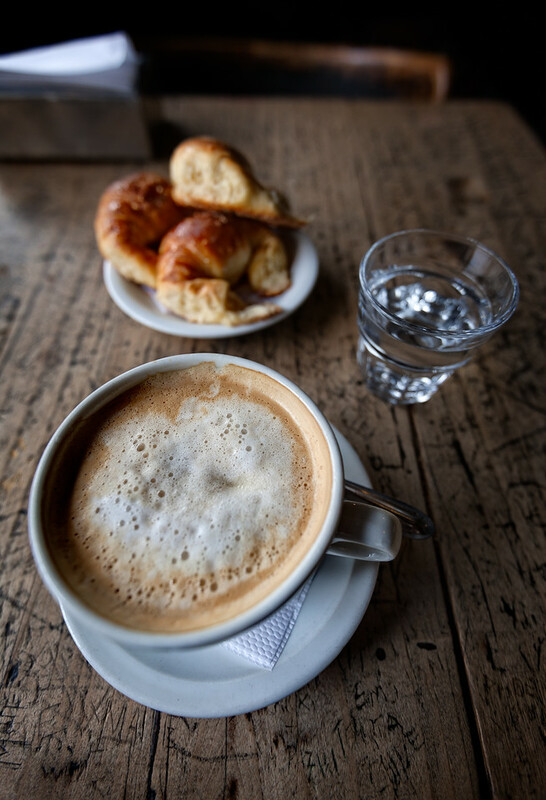 It was still morning and I was justified in ordering a cappuccino (no self respecting person would drink coffee with milk in the afternoon)! I also ordered the local staple, medialunas. These sweet crescent shaped rolls are magic. One of my greatest joys in traveling is experiencing new food or new takes on familiar treats. This inexpensive indulgence fortified me and soon I was off to explore an entire different part of the Sen Telmo Sunday Fair I had previously missed. Seriously, it’s a day long event. Teatro Colon in Buenos Aires, Argentina is one eclectic place. It took many years and many architects to complete. Honestly from the stories I heard, either the BA of those times was very bohemian or the building levied some sort of curse on the architects responsible for its design. 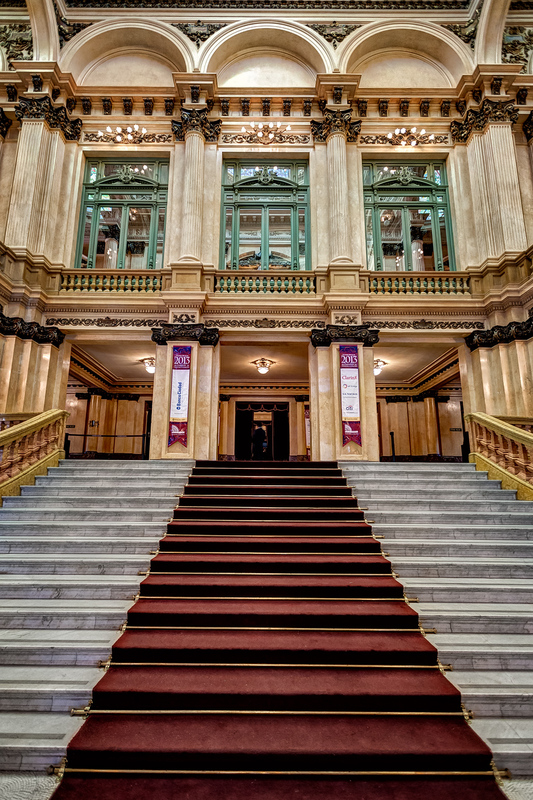 From this entrance, to the golden room to the exterior to the theater itself, you can see many different styles at work. I have a love-hate relationship with street art. Perhaps that statement is incorrect…I love street art. It can be poignant, providing essential social commentary. Though provoking, causing random passers-by to stop dead from their daily stupor and think. It can be beautiful, or make us question our paradigms of beauty. It can be biting, revealing, hilarious, even revolutionary! What I hate it tags and other mindless defacement of other beautiful works. The intent of these lawbreakers of both ilk sits squarely with me. In my mind, one a thug…the other an artist. I have seen some of the greatest artists of our day, unknown, who work in shadow, who’s artistic legacy will be swept away like a Tibetan Buddhist sand mandala; for now they will be briefly seen. I try and capture them while I can. 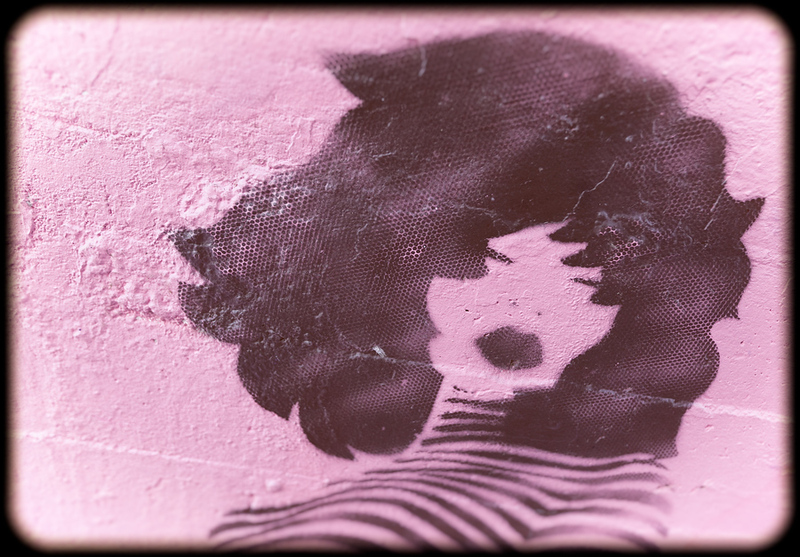 I found this simple beautiful stencil street art underneath a pedestrian underpass in Buenos Aires, Argentina. The underside of this bridge was painted a pinkish purple, with this one loan piece looking seductively at people walking down the sidewalk. I couldn’t help but share. 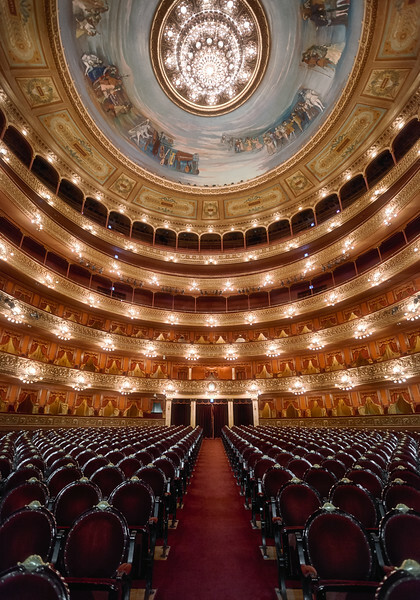 One of the things I really loved about Teatro Colon in Buenos Aries was how eclectic the style was. In fact a number of architects worked on the project over its construction. Those stories are pretty interesting in themselves, bordering on scandal. Since a number of people were involved, there is a collection of styles from around the world. Salon Dorado or Golden Room totally reminded me of the Palace of Versailles. My next trip is to London. Pamela and I have been watching several BBC shows including Misfits and Downton Abby. I just love the Dowager Countess! I think at this point Maggie Smith is one of my favorite British Actresses. Ok…I admit it. Sometimes, in this crazy world of world travel I have engineered for myself, I get TOTALLY spoiled. Some people frequent hostels. Others couch surf. I stay in mansions. Truthfully I tend to stay in Hyatt’s and THIS particular Hyatt was formally a mansion. 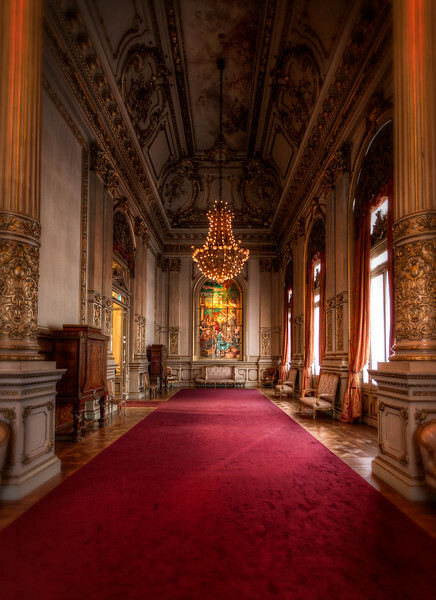 I sadly didn’t get to stay in the Mansion portion of the Palacio Duhau in Buenos Aires, Argentina (I was in the awesome tower). 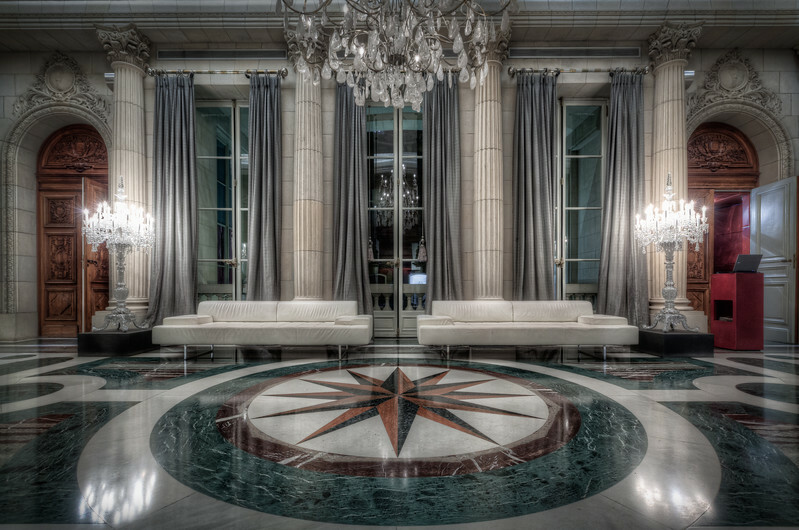 Honestly when I was encouraged to visit the Palacio by the impeccable staff of the Park Hyatt Buenos Aires I felt a bit out of place. Not out of place because anyone treated me so…in fact BA was one of the most camera accommodating places I have ever visited. I just felt under dressed (who is that jeans wearing American?). This is the upstairs hall leading to one of the dining location and the library. I am sure more of the Palace will show up on the blog at a future time. I tend to gravitate to these sorts of places. Places of cultural significant that hold a solid place in the history of a city. This is the wonderful Teatro Colón in Buenos Aires Argentina. Some of the greatest opera singers the world has known have graced this stage. This is a view from the lower orchestra pit looking back at the magnificent house. I also sort of love the oldness of places like this. There is a charm…a nuance to places with age. They have seen so much and continue to thrive. I sadly ran out of time to attend a performance I had tickets to…one of the hazards of only spending a few days in a place. This was a treat for me. 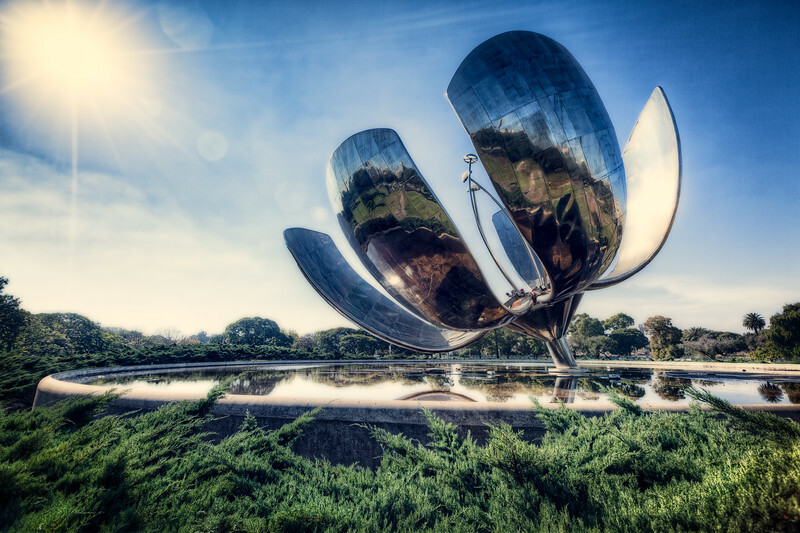 One of the main reasons I went to Buenos Aires was to see the sculpture Floralis Genérica. That sounds a bit odd and it wasn’t the ONLY reason I went. When you see the photos of where I stayed you will see some of the other reasons. It was, well, a mansion! That is a subject for another post. I saw a photo of Floralis Genérica and knew I wanted to see it in person as soon as someone explained it moved with the sun. Yes, it is a massive robot, that opens and closes like a real flower. It follows the sun during the day a and opens and closes its petals. AMAZING! Last Thrusday Pamela and I had to say goodbye to our beloved cat Kennedy. He was a character. Among other things Mr. Kennedy T. Cat was CCO (Chief Cat Officer) in our businesses, a position that will be nearly impossible to replace. Pamela and I have been doing ok with now only sporadic bouts of sadness. We have both really appreciated everyone’s thoughts and prayers. I think Pamela told Kennedy’s last story better than I ever could. Kennedy would have wanted to either eat or poop on the flower below…perhaps both. Today’s images is a bit on the abstract side. 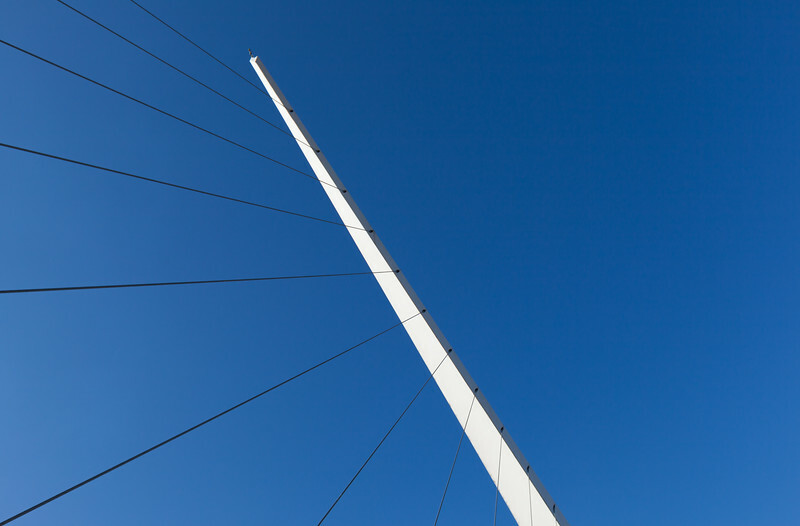 Some wires and a big white thing on a brilliant blue sky. This is the Puente de la Mujer (Women’s Bridge) in Buenos Aires, Argentina. I still haven’t figured out what this structure has to do with women, but it was a neat site. I will leave it there. Enjoy. I recently returned from South America. It still strikes me funny when I say that as it’s amazing to me that I can say something like that at all…who just GOES to South America. Buenos Aries, Argentina is a very strange place and I have a bunch of mixed feelings about my time there. Not because I didn’t like it…its a wonderful city full of interesting things to see and do. The people I encountered were amazingly polite and helpful. I think, however, this is the first time i had to confront the reality that the western world is not the rest of the world. The closest was a trip I took long ago to Jamaica, but then I spent all my time on a resort. I don’t think I have yet wrapped my head around all of this, but I am sure this education is one of the core reasons I am called to travel. 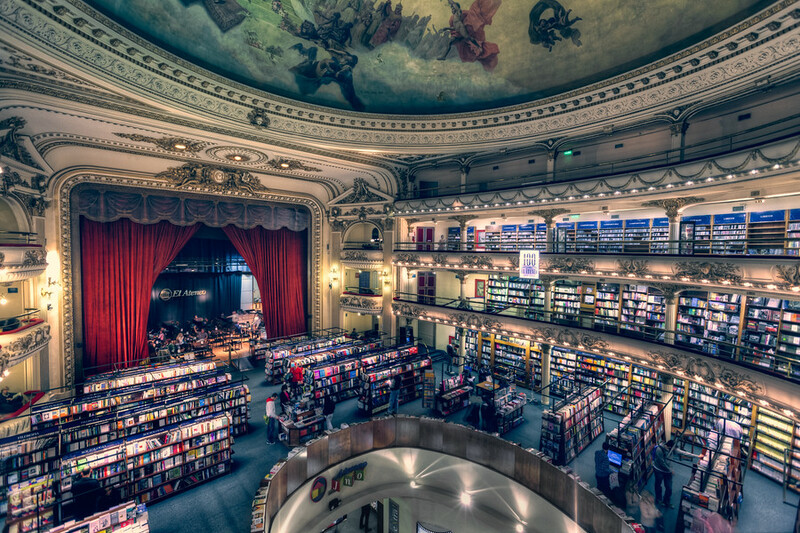 Today’s photo is of a book store in Buenos Aires called El Ateneo Grand Splendid. It is…hands down…the coolest bookstore I have EVER seen. It is built in an old theater, the stage is the cafe. The boxes are for reading. The seating areas hold the books. Under the stage has been converted to the children’s books area. I wish this would happen everywhere! I hate to see old marvelous structures falling to ruin. Isn’t it much better to breath new life into them, to redefine their purpose.